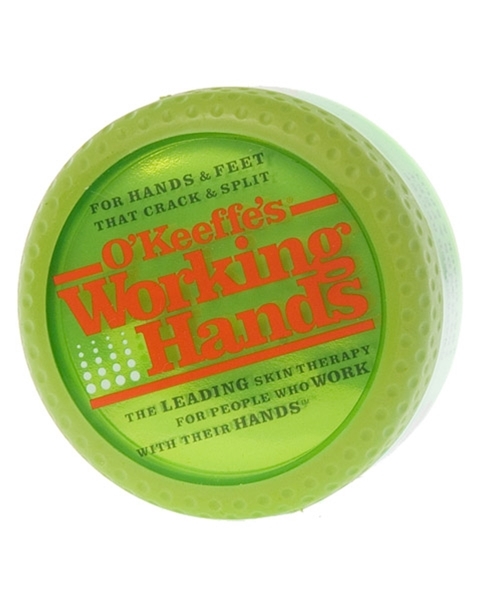 O'Keeffe's Working Hands is the first effective treatment specifically for people who work with their hands. This highly concentrated proprietary formulation stimulates the skins natural repair process by hydrating the skin, altering pH balance and retaining moisture. Safe and effective on all skin. No Oil, No Greasy Feel! Odorless with overnight relief. I recently found Working Hands and have replaced all my hand lotion for this. I work with a lot of products that dry my hands and Working Hands heals them before they crack. I also deal with money counting and find Working Hand to be better than the finger dip stuff that leaves your fingers a mess. Awesome Working Hands. I now buy extra to hand out for other friends and associates to try.